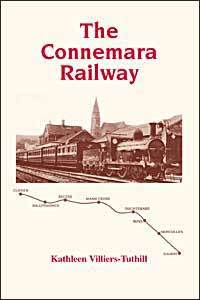 '… packed with facts and pictures, it gives a brief history of the old Galway-Clifden branch of the MGWR. This attractive 52 paged booklet gives a concise history of the railway line that operated for forty years between Galway and Clifden. Opened in 1895, the line had seven stations and ran for forty-eight miles through some of the most breathtaking scenery Ireland has to offer. The names of over 200 men and boys employed on the construction of the line are listed here.